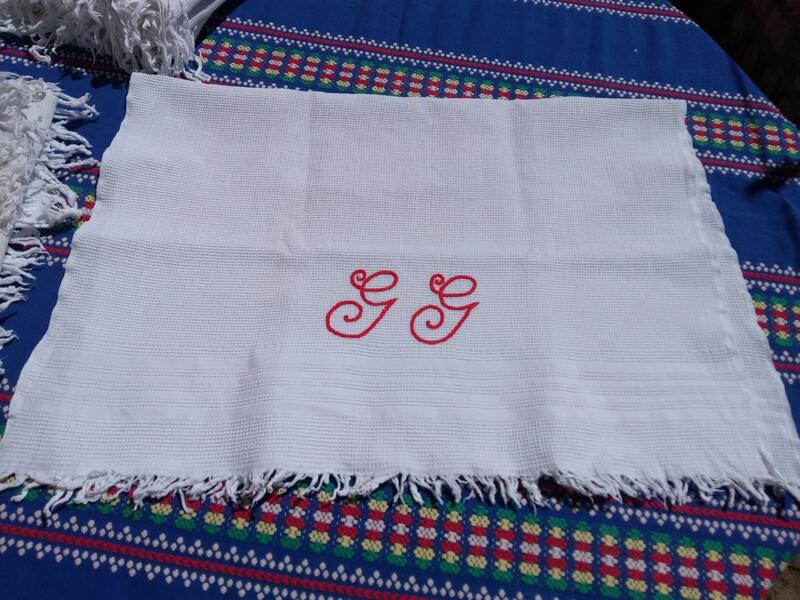 Antique French white waffle dish cloth fringed. 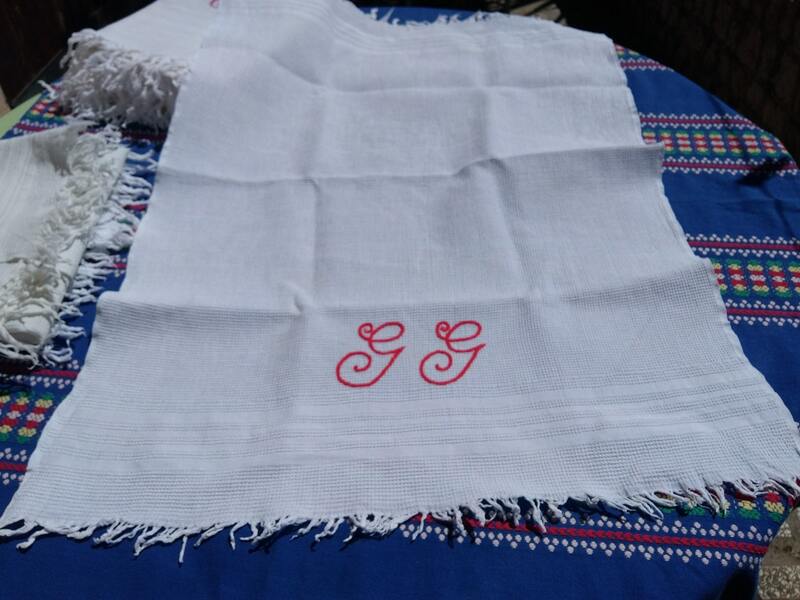 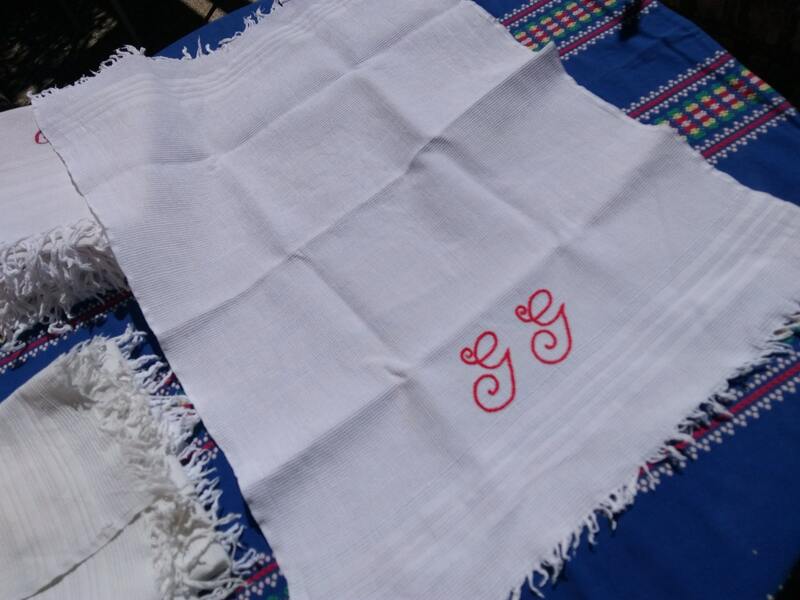 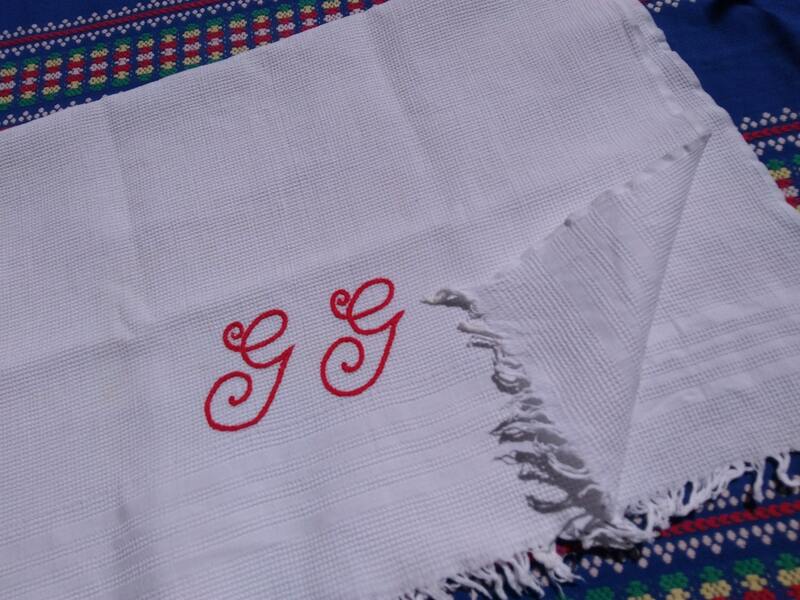 kitchen towel with "G G"red monogram . 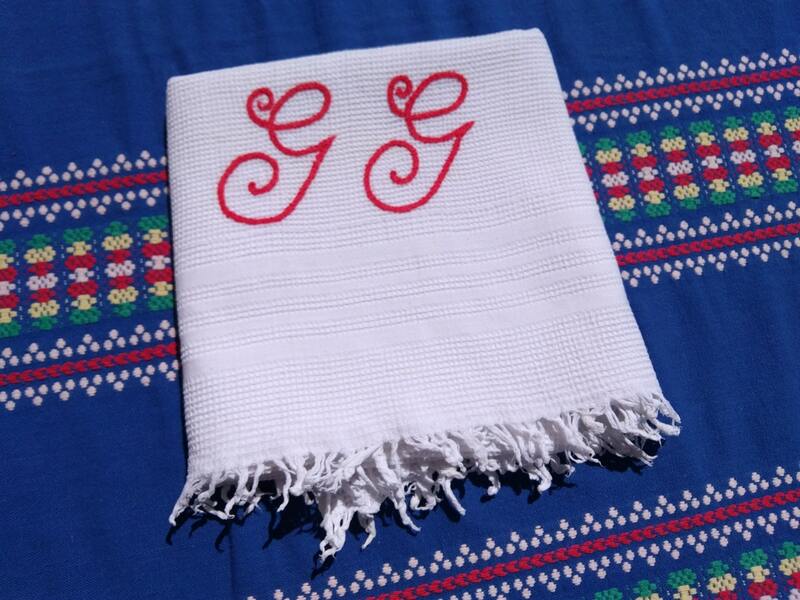 Waffle cotton made.